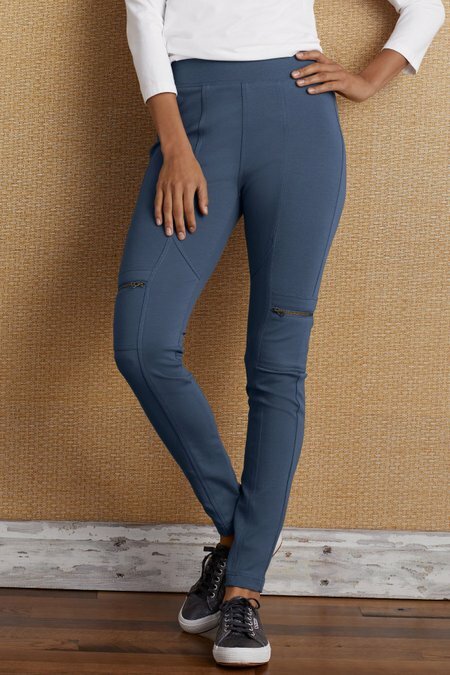 Fashioned of ponte roma knit developed in Italy, these ankle-length leggings are soft and super slimming. Color washed to bring out the vertical and angled seams, they're detailed with two zip pockets. Cotton/nylon/spandex. Misses 28" inseam. Sits just below natural waist.